What’s the first thing that comes to mind you think of a locksmith? If you’re like most people, it’s probably things like getting you back into your house or car or replacing a broken or damaged lock. While we do all of these things at South Austin Locksmith, it’s just part of the full range of expert services provided by our local, mobile team of locksmiths in Cedar Creek. Based in South Austin, we’re a 24-hour locksmith with a local mobile locksmith team available in Cedar Creek, TX. Regardless of why you’re calling us, you can count on receiving prompt attention from licensed, bonded, and insured technicians who combine proven methods with state-of-the-art technology to provide high-quality results. Need a few more reasons to make us your go-to local locksmith in Cedar Creek? Don’t panic if you’re locked out of your home, car, or office. A locksmith in Cedar Creek is available 24-hours a day, seven days a week to respond to lockouts, evaluate burglary damage, and provide emergency lock changes. And there’s never any extra fees for the convenience of 24/7 availability. When you need help quickly, you can always count on our emergency locksmith team in Cedar Creek! Access to our automotive locksmith service is just a tap or call away. Our mobile locksmiths are prepared to get you safely back in your vehicle. 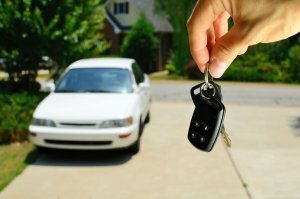 We also repair ignition cylinders and duplicate or replace all types of car keys, including laser cut keys, car fobs, and transponder keys. Our commercial locksmith services are tailored to the unique needs of business owners. As business owners ourselves, we understand the importance of having commercial locks that serve multiple purposes. With access control systems, for instance, you can limit and control access to different parts of your office building or facility, or you may opt for a master key system to allow two or more keys to open a single lock. Both homeowners and renters in the Cedar Creek area can trust us to provide fast, reliable residential locksmith services in situations that can range from fixing locks that stick to exploring possible updates to existing locks. Have you experienced an attempted break-in? Are you concerned that your locks may not be as secure as you’d like them to be? These are just a few of the issues our local locksmiths can resolve. Whether you want your current locks inspected for your own peace of mind or you’ve been locked out of your home or sustained burglary damage, our mobile locksmiths will arrive quickly, answer your questions, and clearly present your options. We offer full installation and repair lock services. Is it time for a lock upgrade? From traditional home locks and deadbolts to mortise, profile cylinder, and high-security grade 1 locks, you’ll have access to a wide selection of locks with appealing aesthetic, safety, and security features. We also have keyless options. South Austin Locksmith is your trusted source for more than just 24-hour locksmith service. We also offer affordable garage door installation and repair services in Cedar Creek, TX. Our technicians respond quickly to repair requests that may involve misaligned doors, broken springs or cables, bent rollers, or doors that are noisy during operation. 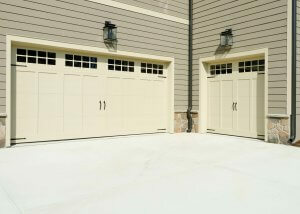 We also do replacement of selections or panels, complete replacements, and new garage door installations. One of the first things you’ll want to do when moving into a new home is to have the lock re-keyed. You never know if there’s a master key out there that’s not accounted for. If you have a lock near a window on your door, enhance your security with a double cylinder lock. These locks require a key on both sides. Breaking windows means more costly repairs will be needed and you may hurt yourself in the process. Instead, take advantage of our 24-hour locksmith service. Instead, use a spray lubricant. If you’re still not having any luck, give us a call and we’ll be there in 30 minutes or less. Not all home or business security risk are as obvious as worn out or damaged locks. Make well-informed decisions about your safety by scheduling a security audit to evaluate your existing locks and security features. Get the peace of mind you deserve by choosing South Austin Locksmith as your preferred locksmith in Cedar Creek. Whether you’re dealing with an unexpected lockout or looking to upgrade your commercial or residential locks, our trained technicians are here to help. Contact us today to learn more about our complete range of lock and key solutions. If you’re just passing through the area, we invite you to check out these top 10 things to do in Cedar Creek! Cedar Creek Locksmiths https://south-austin-locksmith.com/cedar-creek/ 4.1/5 based upon 17 reviews.